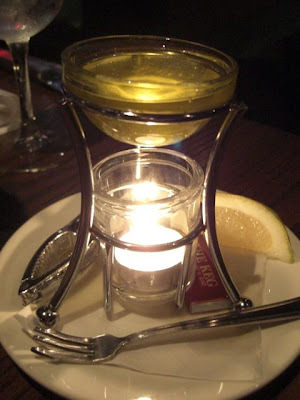 Armed with gift cards from Christmas, Mom, the Bro, and I headed to the Keg in Barrie for an atmospheric meal of champions. We went a few Wednesday's ago, and it was absolutely packed! We were only there because we had gift cards (one person spending $50+ on dinner is easy) - not sure where everyone else came from. Isn't there supposed to be an economic downturn right now? Definitely not evident at the Barrie Keg on a Wednesday night. 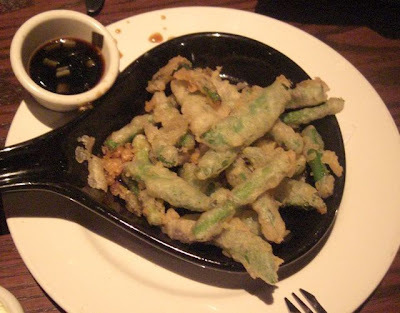 Appetizer: tempura snap peas and asparagus. Tasty! I ordered a half lobster - this is my "dipping butter" tea light! 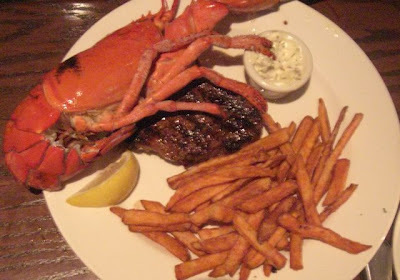 Half lobster, sirloin steak, sweet potato fries. I ate it all - no problem! 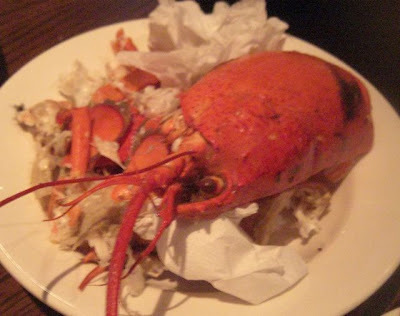 The aftermath of my fight with the Lobster.